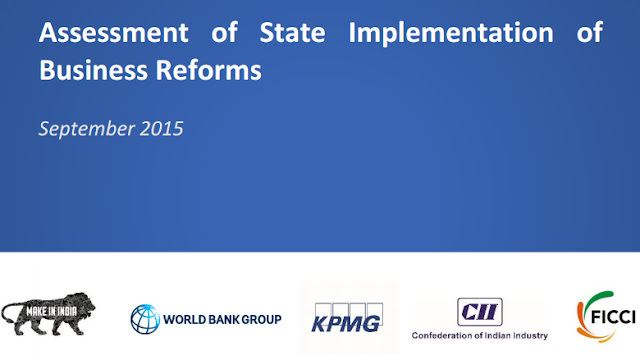 A report titled “Assessment of State Implementation of Business Reforms” was released today. 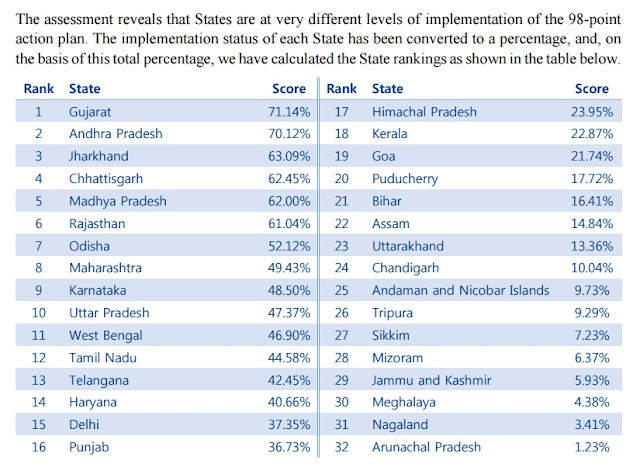 This report captures the findings of an assessment of reform implementation by states, led by the Department of Industrial Policy and Promotion (DIPP), Ministry of Commerce & Industry, Government of India, with support of the World Bank Group and KPMG as the knowledge partner, and facilitated by the Confederation of Indian Industry (CII) and the Federation of Indian Chambers of Commerce and Industry (FICCI). “What this report does very well is to provide a roadmap for states serious about improving their business environment and creating jobs. This has an inclusive objective as it is the small and medium enterprises which will gain the most from these reforms,” saidOnno Ruhl, World Bank Country Director in India.